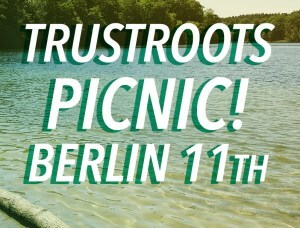 As we wrote before, we’re all team here in Berlin now working on Trustroots. Let’s have a cozy day together with the community at the lake this Tuesday (11.8.2015)! Picnic around north-eastern end of Krumme Lanke (map). If you’re interested in volunteering; coding, translations, support etc we can have sessions about it later this week. We’ll be around for a while.